Probably the most famous cartoon characters on Earth, Donald Duck and Mickey Mouse have amused generations of kids, teens and adults. Download Walt Disney comic heroes illustrations in vector art format. 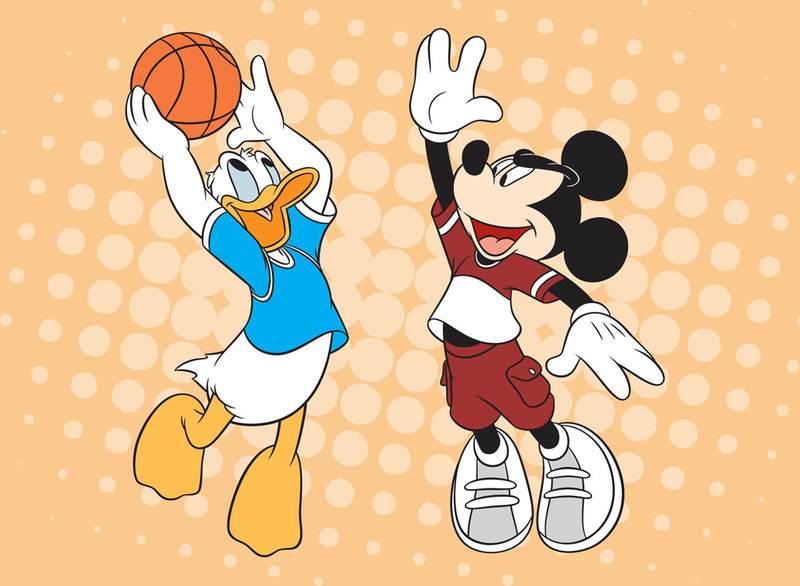 Cool Illustrator image of Mickey and Donald playing basketball. Tags: Basketball, Disney, Donald Duck, Game, Mickey Mouse, Play, Sport.